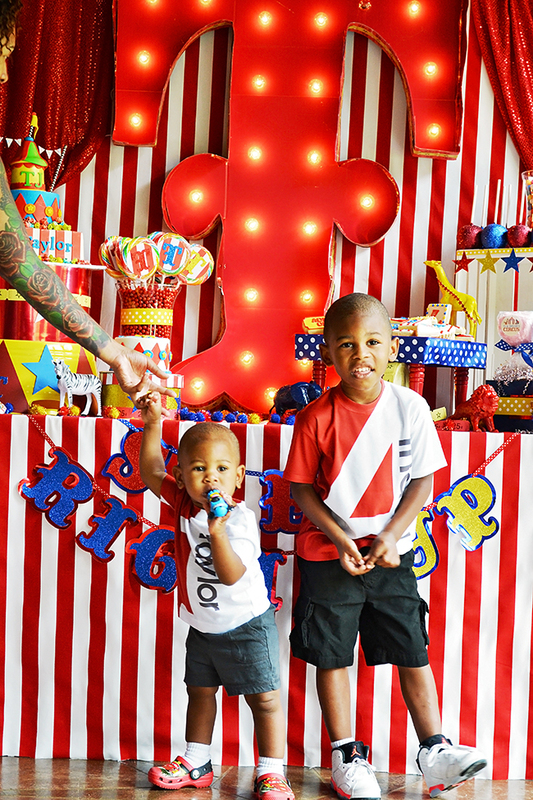 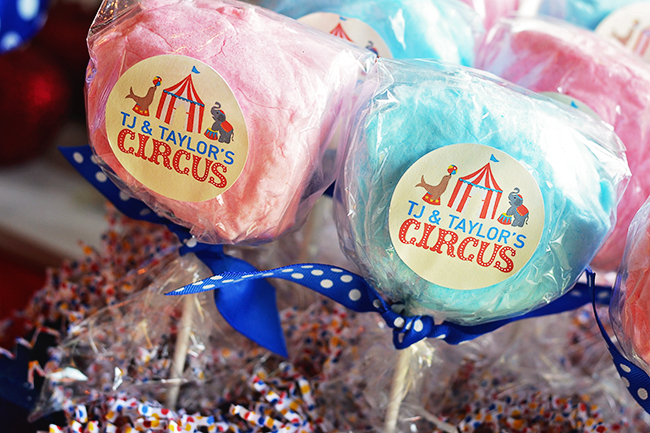 Circus birthday party: TJ is 4 and Taylor is 1! 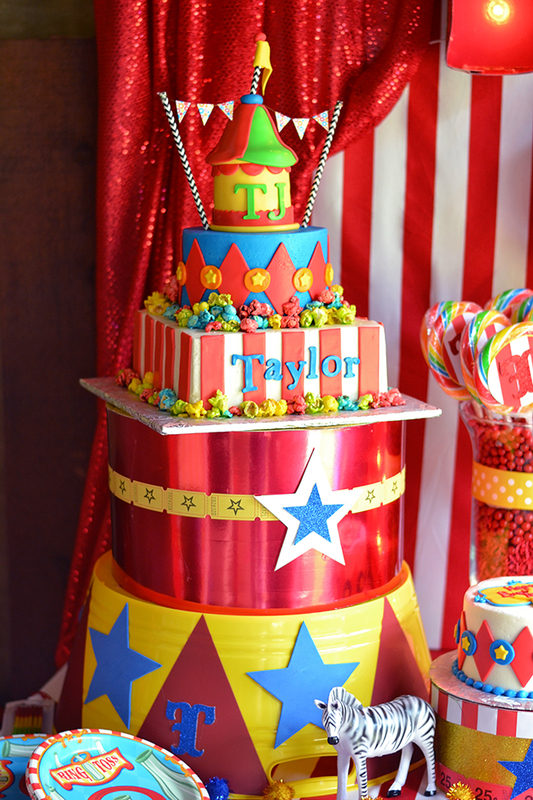 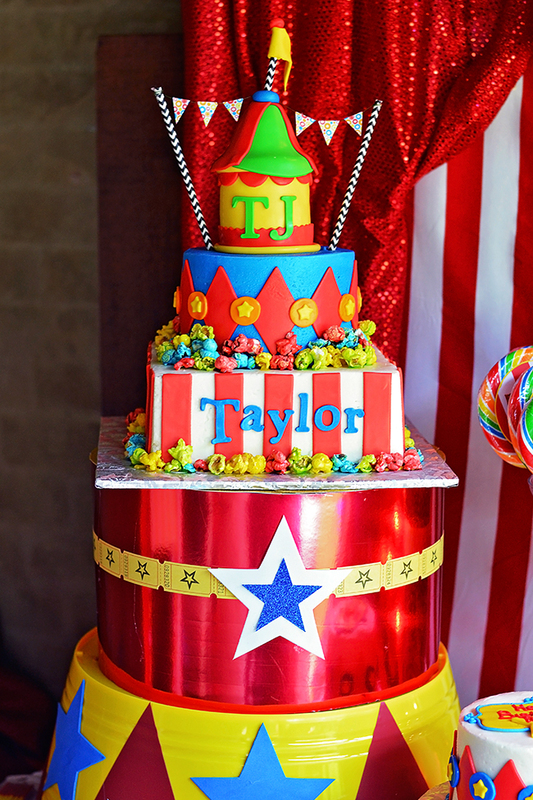 Step right up, it’s a circus theme party for brothers TJ and Taylor! 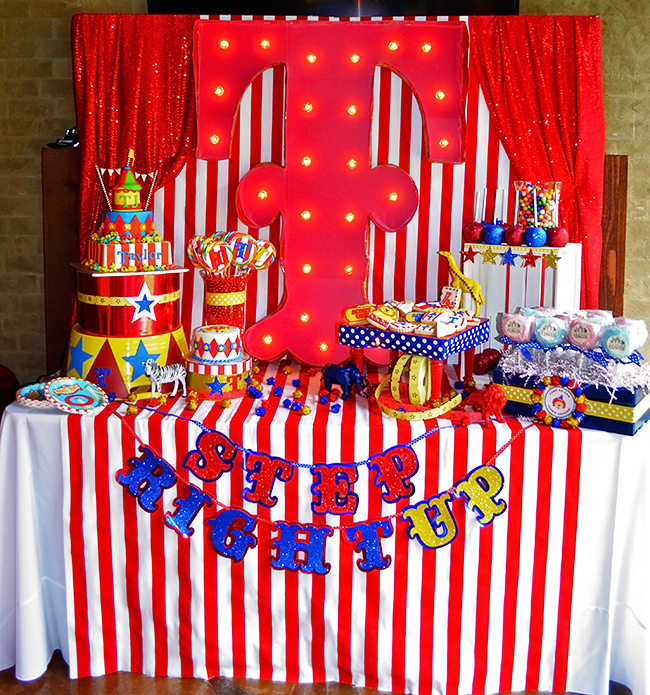 This amazing party was styled by Brittany of GreyGrey Designs. 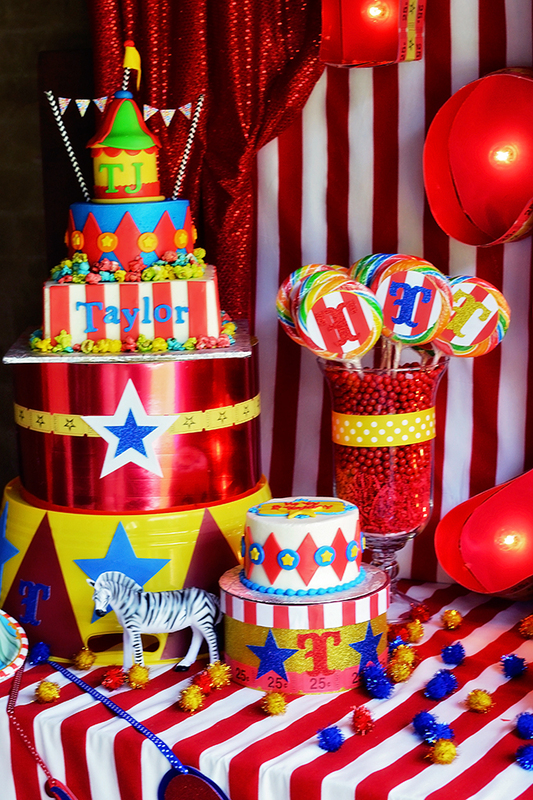 She incorporated lots of classic circus details straight out of a big top, including tickets, circus animals, clowns, popcorn, cotton candy, and red-and-white-stripes. 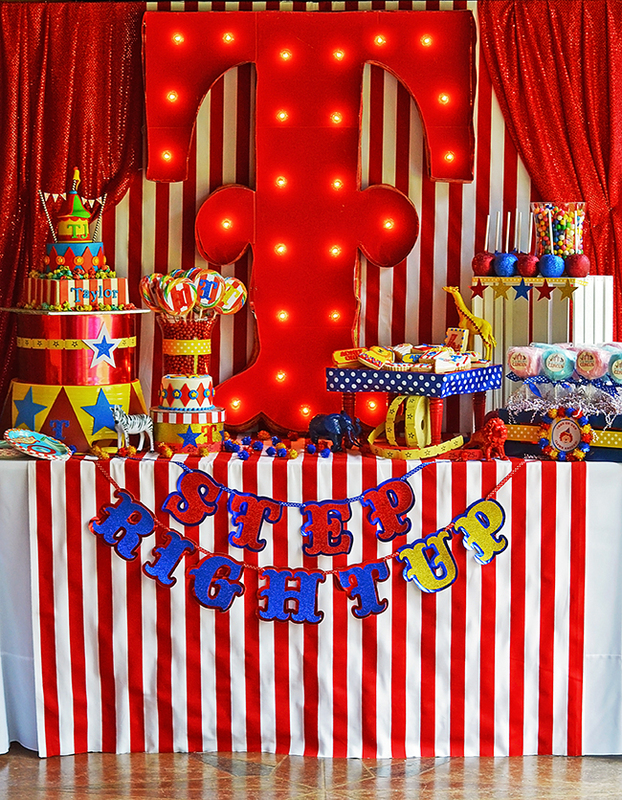 The showstopper was definitely the huge, lit-up marquee “T” that Brittany made as the party table backdrop! 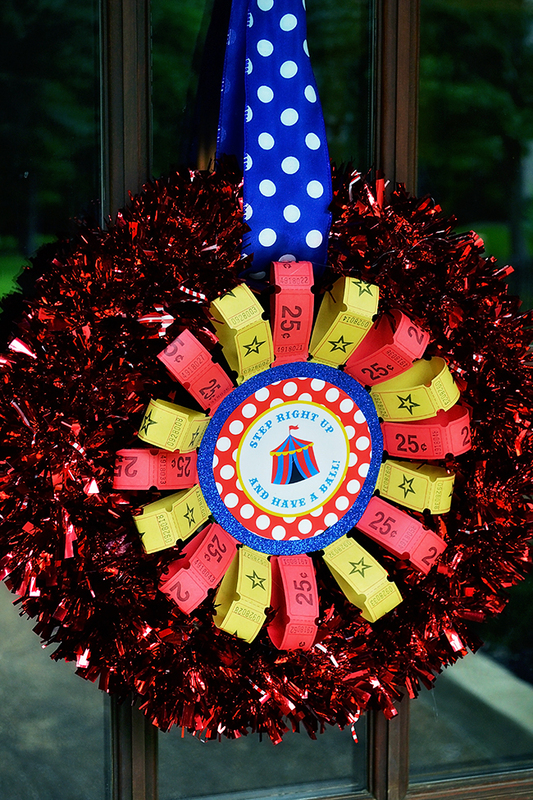 The welcome wreath was made using tickets from Oriental Trading and printables from Chickabug. 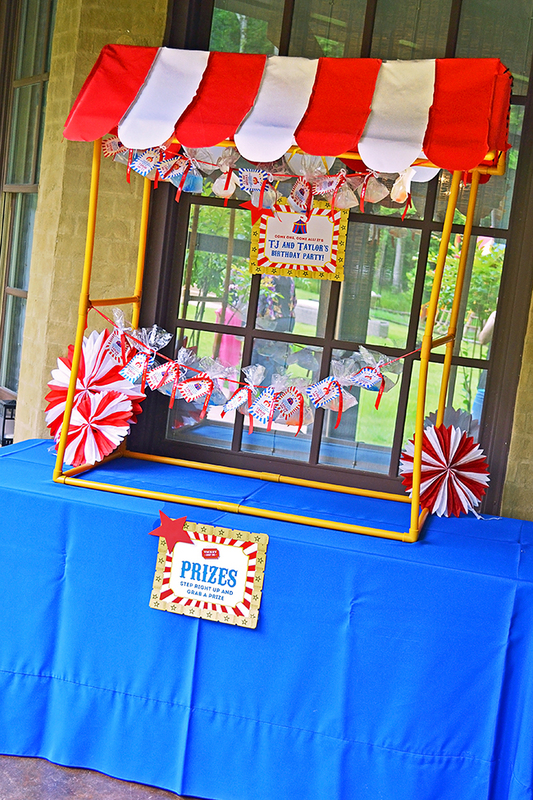 The ticket booth matched the theme perfectly! 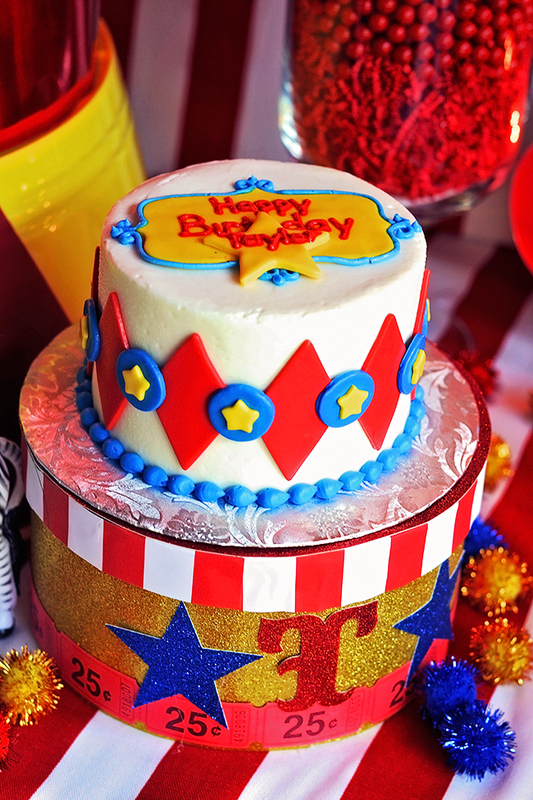 It’s from Birthday Express. 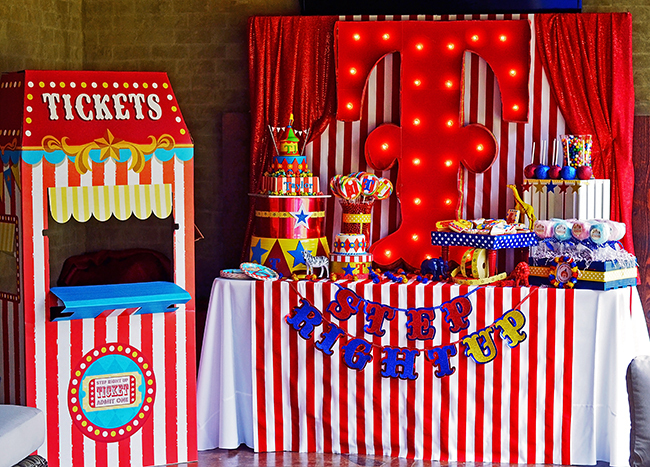 The amazing cakes were made by Mad Lily Cakery. 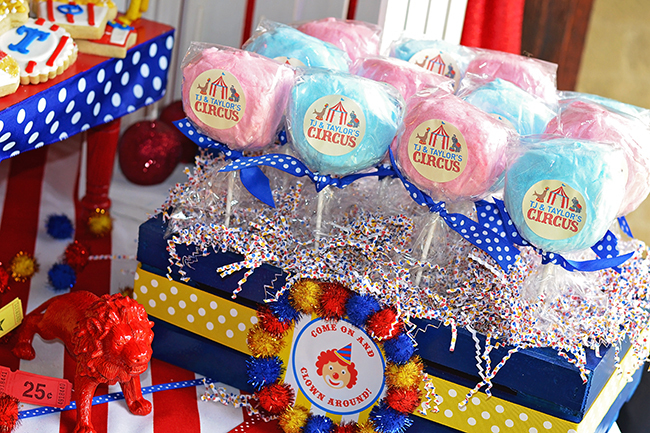 The cotton candy is from Dolly’s Sweet Dreams Cotton Candy. 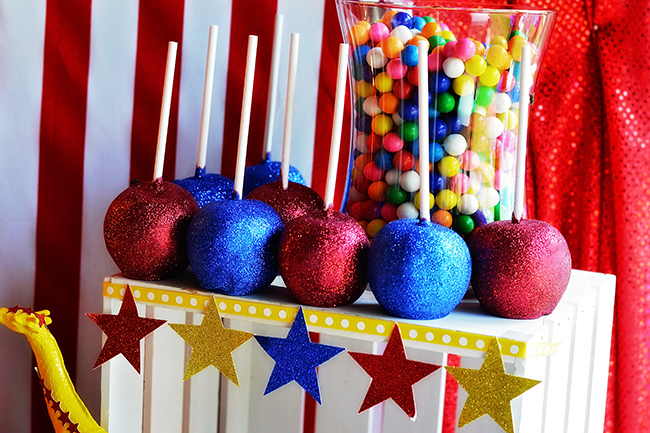 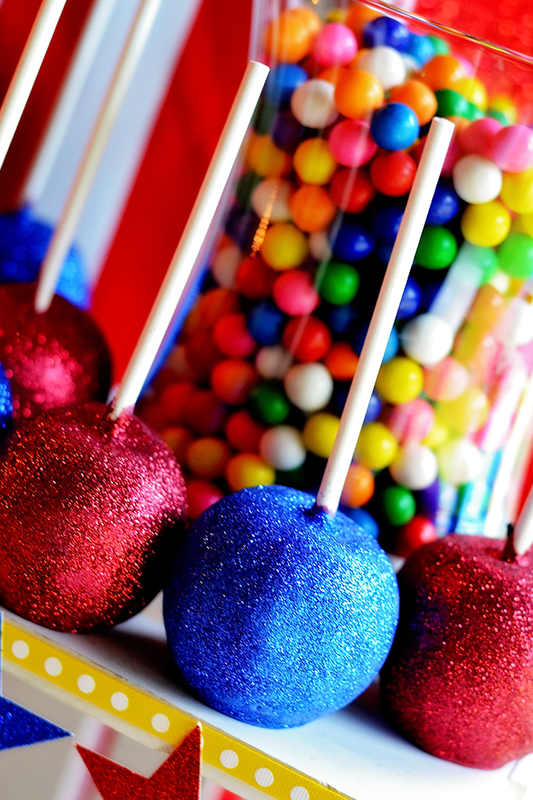 The red and blue edible glitter-covered candy apples are from Autumn Lynn’s Chocolate Sins. 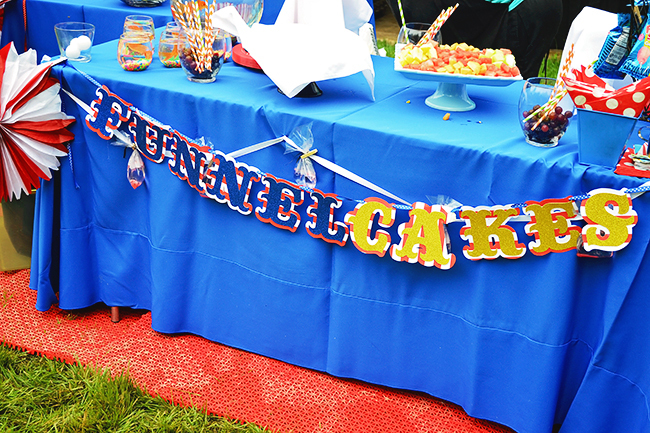 The plates and napkins are from Birthday Express. 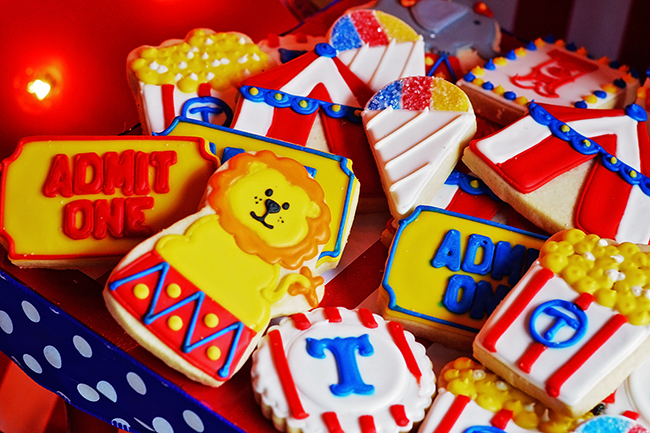 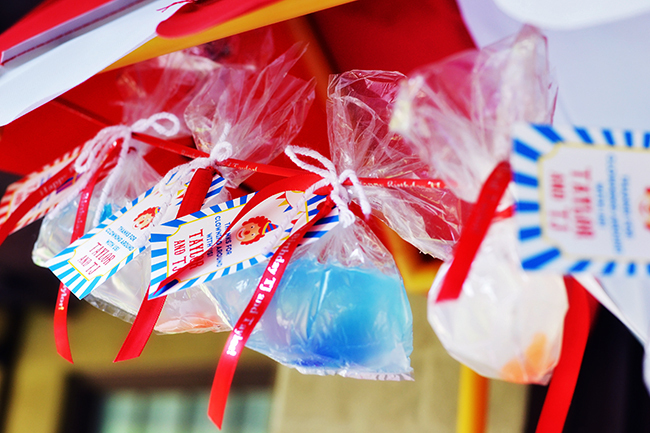 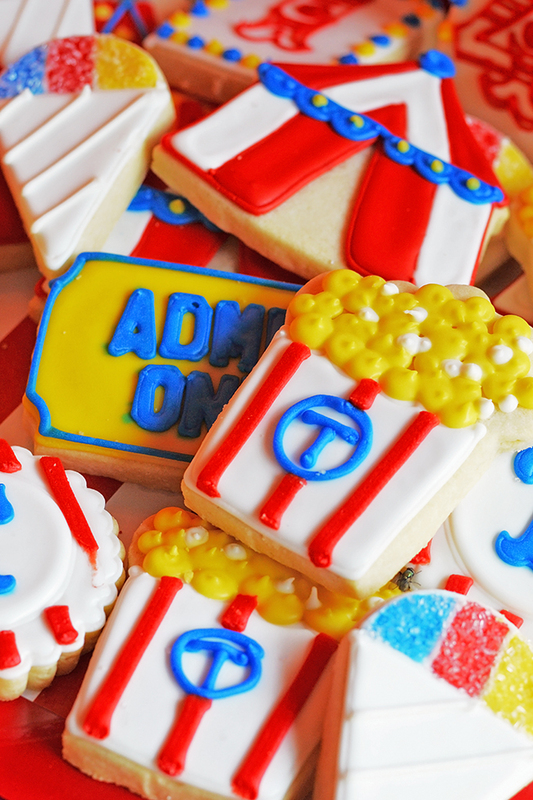 The adorable circus cookies (lions, big top tents, tickets, popcorn, and snow cones) were by Whimsy Cookie Co. 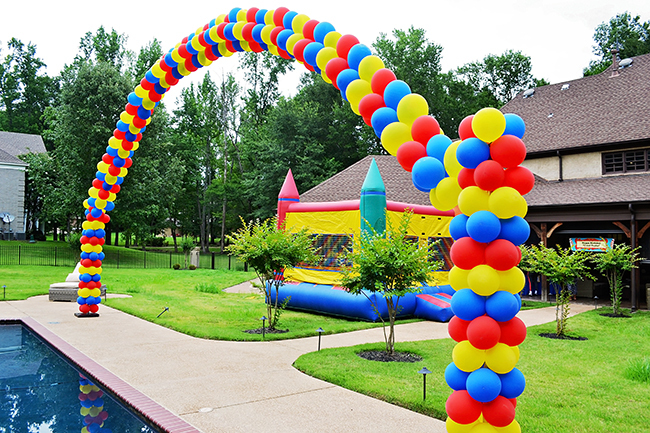 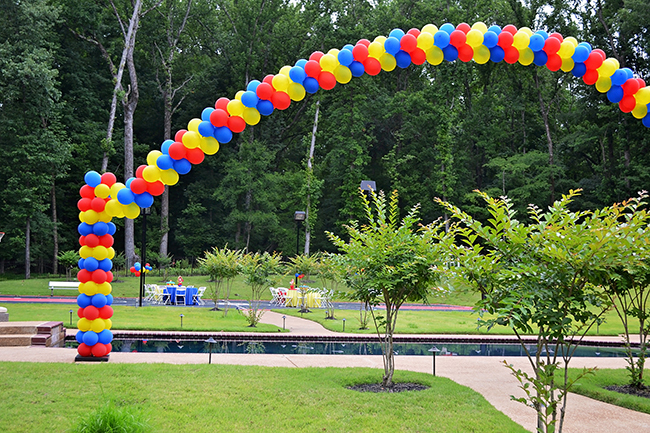 The balloon arch is from Teddy Bear Express. 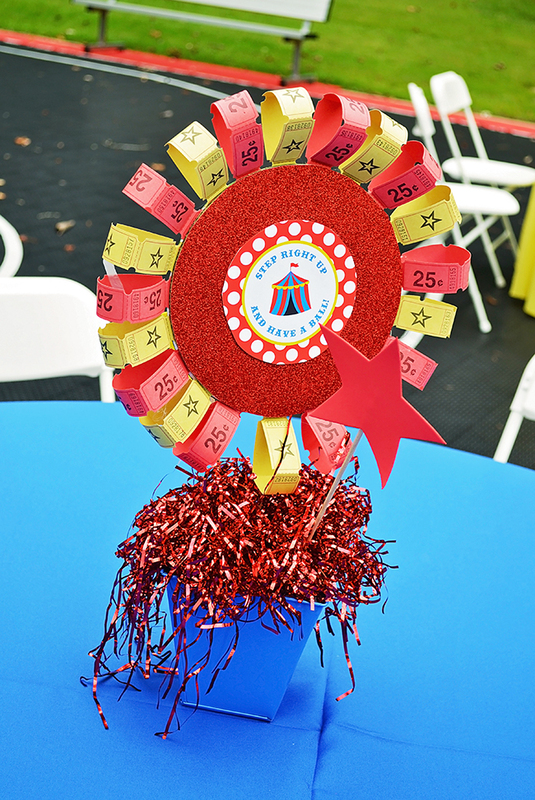 Brittany made centerpieces using tickets from Oriental Trading and printables from Chickabug. 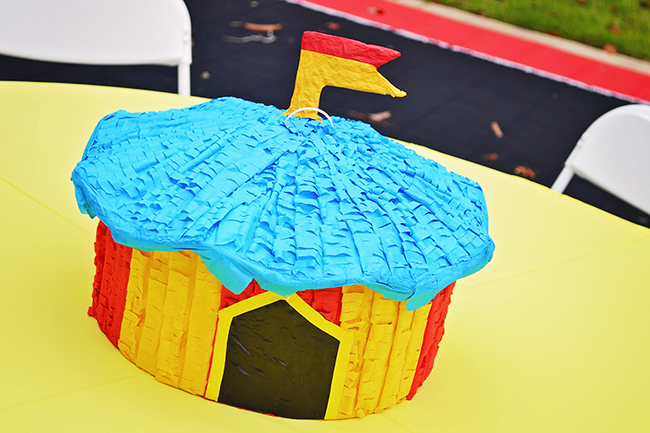 Pinatas from Birthday Express were used as centerpieces on the tables. 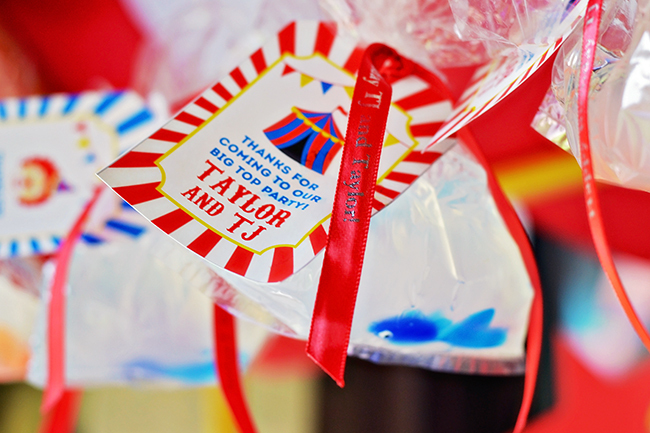 The tabletop tent and favor supplies (plastic bags, plastic fish, personalized ribbon) are from Oriental Trading. 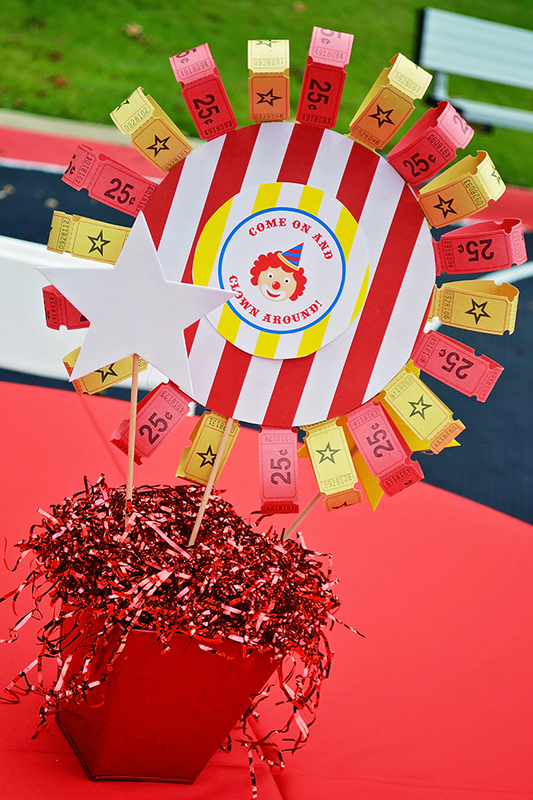 The printable signs and favor tags are from Chickabug. 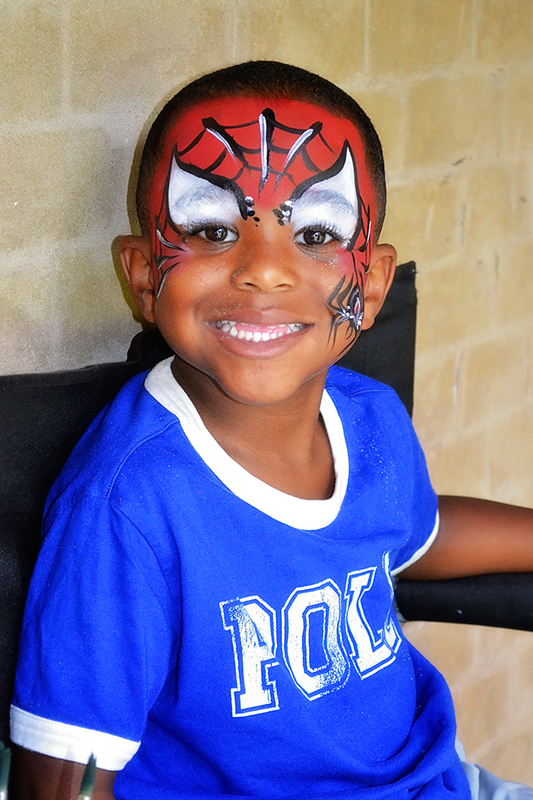 The kids loved having their faces painted! 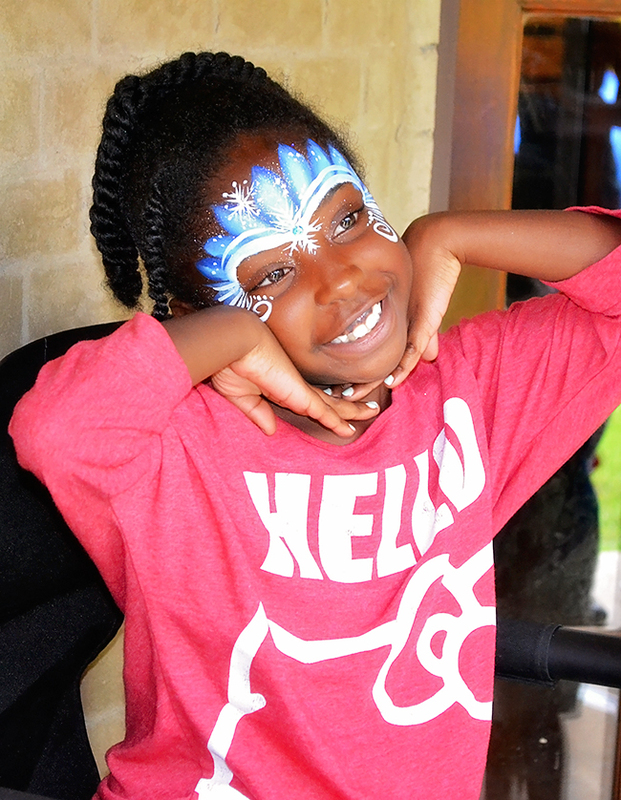 Brittany says there were a lot of requests for Princess Elsa. 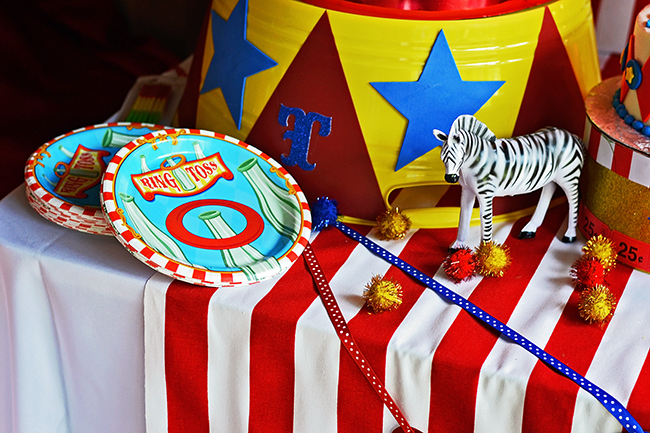 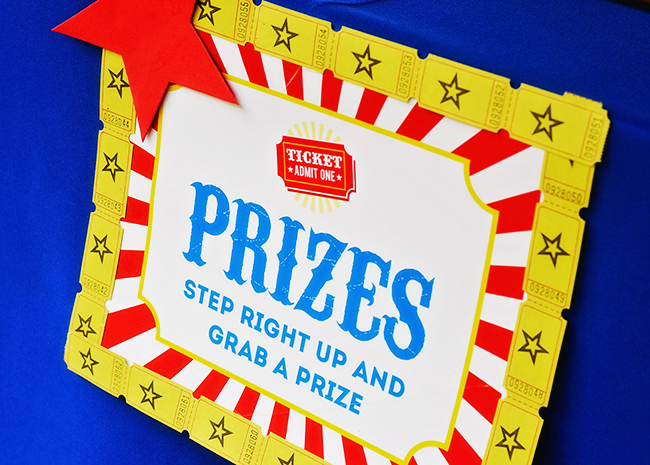 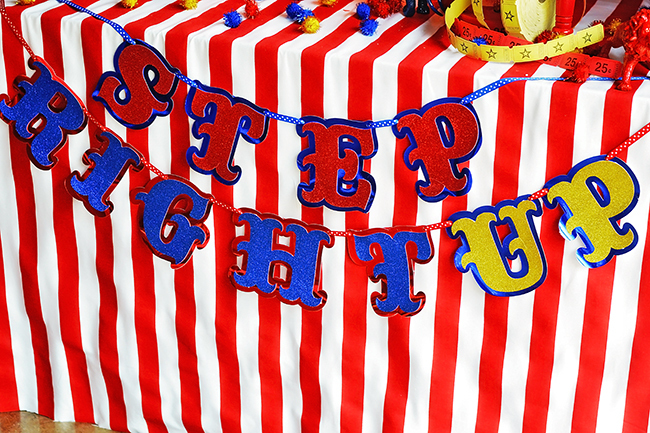 Shop for personalized carnival and circus theme party paper goods and printables here. 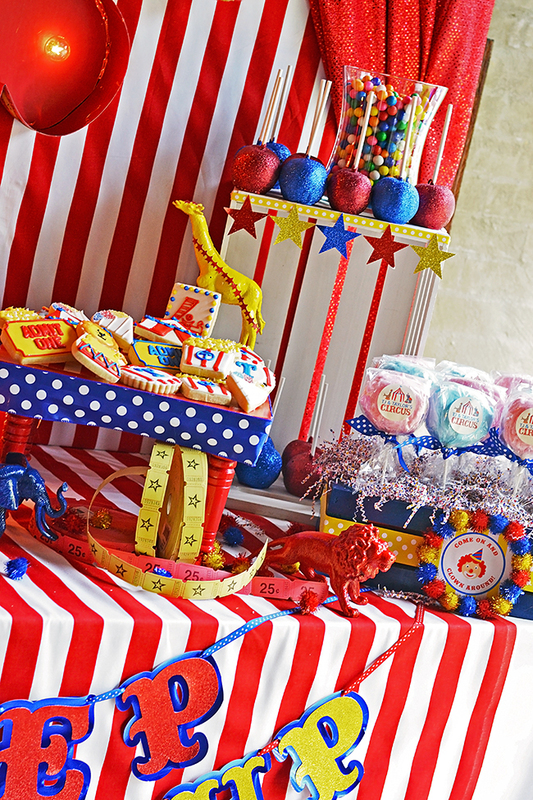 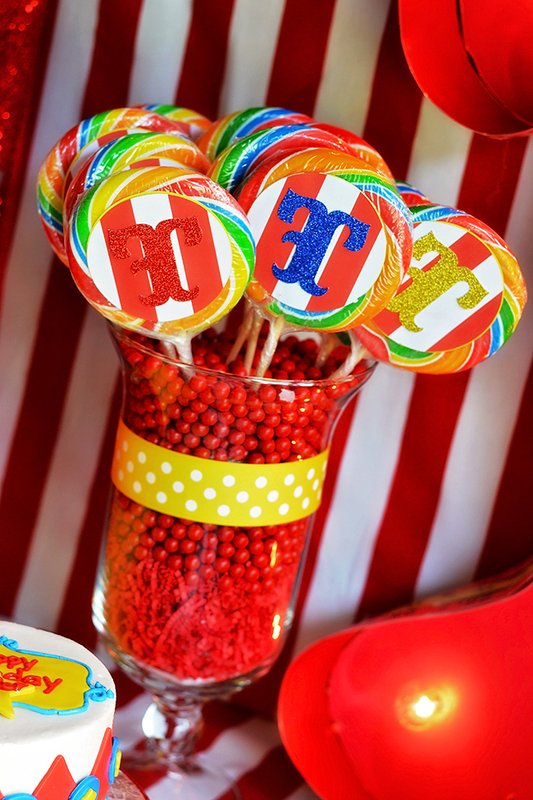 Or, check out more carnival and circus theme party ideas on Pinterest or here on my blog!